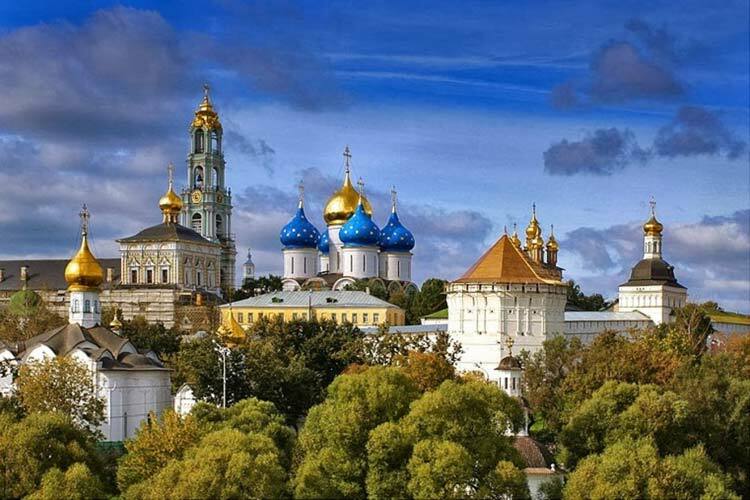 Car tour to Sergiev Posad - a city in the Moscow region, included in the Golden Ring of Russia, with excursion in Trinity Sergius Lavra. Use a chance to visit a beautiful town - Sergiev Posad while your stay in Moscow. 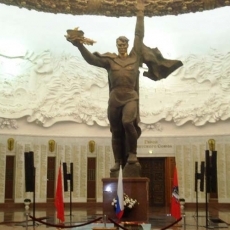 It is included in the Golden Ring of Russia and has a long history. 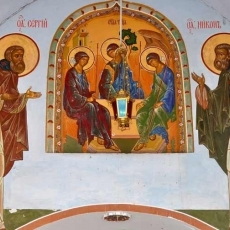 It grew in the XV century around one of the greatest Russian monasteries, the Trinity Lavra, which was established by Saint Sergius of Radonezh in 1337. Lavra is the main heritage and pride of Sergiev Posad and the spiritual center of the entire Orthodox Russia. A functioning male monastery, Moscow Theological Academy and Seminary are situated here. Trinity Sergius architectural ensemble was included in the UNESCO World Heritage List in 1993. Numerous constructions erected during the XV - XIX centuries by the best masters of Russia, are a kind of visual aid for the study of the Russian architecture history. 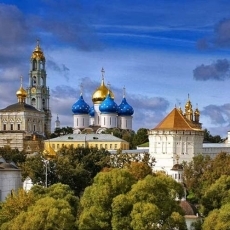 The oldest attraction in Trinity Lavra of St. Sergius is the Trinity Cathedral, built in 1422. 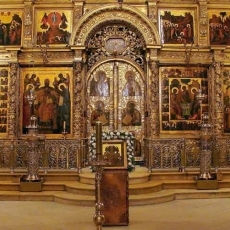 Here the relics of reverend St. Sergius are buried. 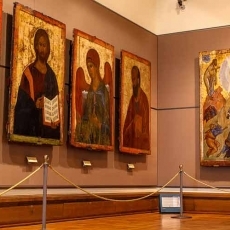 And in painting of the murals and iconostasis participated two renowned Russian artists – Andrei Rublev and Daniil Cherny. 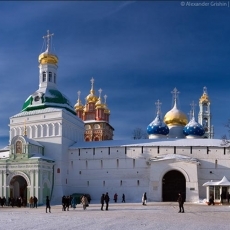 The biggest temple on the territory of Lavra is the Assumption Cathedral, built in 1585. 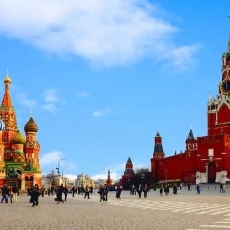 With its external forms it repeats the Assumption Cathedral of the Moscow Kremlin. 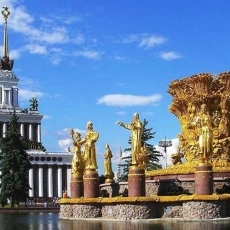 During this comfortable car travel you will learn a lot about Russian religious traditions, architecture and history. Your guide and a driver on a vehicle will meet you in the hotel and after the tour you will be taken to your hotel back.